It’s what you always envisioned. A lush lawn and vibrant green landscape. The most pristine pathways and plantings. Elegant illumination putting your home in the best light. It’s visionary landscaping and hardscaping—and it’s yours with Gallucci Landscaping. Gallucci Landscaping sets the standard for excellence in hardscape design, with a diverse selection of materials and collections to choose from. Whether you envision a simple patio installation, a pristine pathway, or an outdoor kitchen, we can create an outdoor environment that suits your lifestyle—and boosts curb appeal. With lush green grass, flowering plants, and healthy trees, your landscape becomes more inviting, welcoming you home with beauty. The landscape experts at Gallucci Landscaping know exactly how to enhance your outdoor space, using the highest-quality planting materials from local nurseries and growers. Professional outdoor lighting is the perfect way to highlight your yard's architectural features, showcase your garden beds, and provide a safe path across the property. When it’s time to show off your property and increase its outdoor living potential, Gallucci Landscaping will light your way. The perfect blend of form and function, retaining walls can add an element of sophistication and elegance to any landscape. At Gallucci Landscaping we design and install stunning and functional retaining wall systems with the structural integrity you can trust for years to come. Beautiful landscapes are created by design and maintained meticulously. 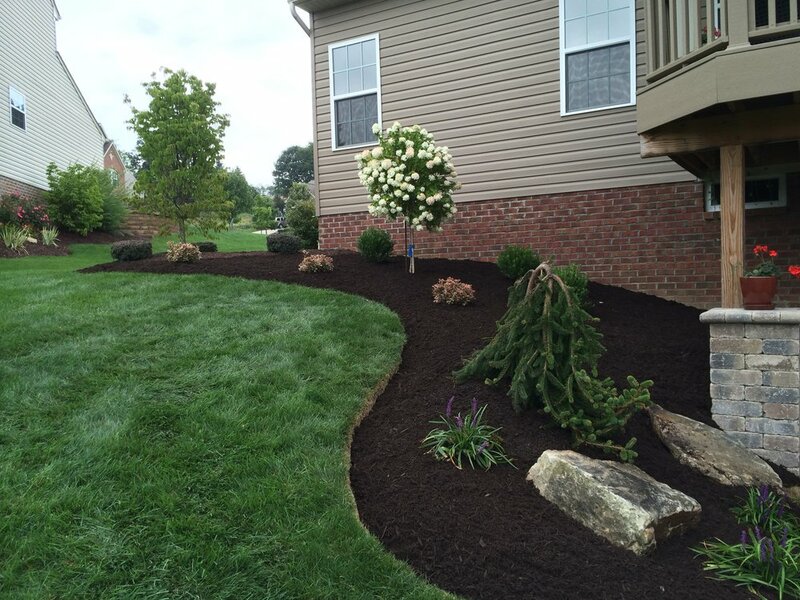 Gallucci Landscaping offers complete property maintenance services to ensure your landscape design not only flourishes, but also remains the backdrop of beautiful memories for years to come. When you demand a healthier, greener, and long-lasting lawn, you need Gallucci Landscaping new lawn hydroseeding. We continue to improve and perfect our already superior slurry to keep your landscape beautiful, lush, and weed-free throughout the year.